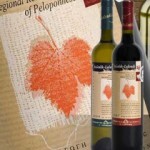 Asyrtiko (30%), Kidonitsa (30%), Monemvasia (30%), Asproudi (10%) Metropolis comes from 4 varieties which were components of the legendary wine Malvasia. The combination of the climate, the soil and the wine making technique produces a well balanced wine of golden yellow color, aromatic notes of floral, pear, apricot and citrus, excellent balance and a crisp, fairly long finish. Moschofilero (100%) Laloudi means flower in Greek. Moschofilero was picked for this wine in order to create a unique full bodied, refreshing and pleasant wine. Moschofilero is a variety distinguished for its high acidity, aroma of roses and good structure. It is vibrant yellow green color, rose, pear, citrus nose, and a crispy fairly long finish. 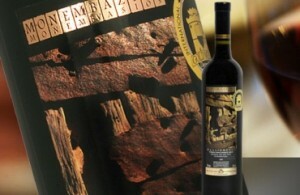 Kidonitsa 100% Kidonitsa is a rare old local variety and one of the components of the legendary wine Malvasia. 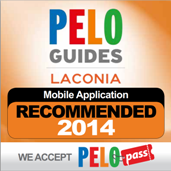 Its main characteristics are the unique aromatic potential of fruits and excellent acidity. Its color is vibrant yellow, nose and taste of tropical fruits and quince, pleasant palate, excellent balance, crisp and a fairly long finish. 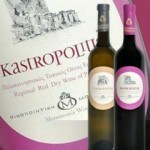 Roditis 60%, Monemvasia 40% Kastropolitia is produced by selected grapes of the local varieties Monemvasia along with Roditis. 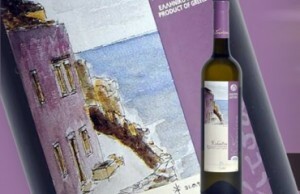 Monemvasia is an aromatic variety but its disadvantage is its low acidity. For this reason it is blended with Roditis. Roditis liberates lemon and citrus flavors and it is characterized by good structure. It has a light gold color, flower, apple, pear nose with a crisp long finish. Pretty tannic, exuberant varietal wine from Cabernet Sauvignon, which is distinguished by its dark purple color and rich aromas of black fruit, spice, with special notes of pepper. 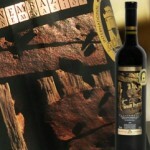 Rich flavor, with a distinct alcohol but with beautiful, intense tannins, with a long, pleasant aftertaste. 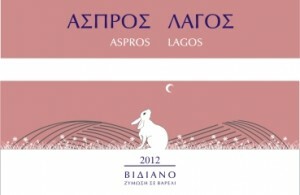 Agiorgitiko (70%), Mavraki (30%) The grapes come from local vineyards; the wine derived from the particular area is rich in body, with good acidity and great aromas. It is richly structured and loaded with complex flavor reminiscent of dark red fruits such as blackberries and black cherries. 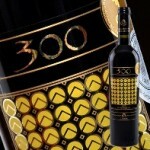 It leaves in the palate a rich, opulent feel. The dark fruit character intermingled with the subtle oak notes in a long finish. A soft, easy-wine, beautifully expresses the varietal characteristics of Syrah. With a deep red color, pleasant floral aromas of the night, very good acidity and a sweet, long aftertaste, will take off the fat and your grilled meat on a spit. 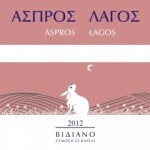 Agiorgitiko (90%) Mavroudi (10%) Cultivated in local vineyards, Agiorgitiko is one of the most special Greek varieties. 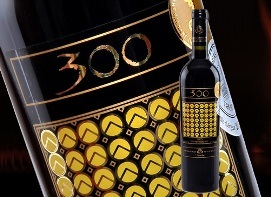 It features a high alcohol content good acidity, rich color and good ripe tannins. 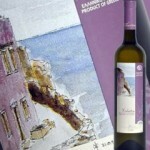 Mavroudi enhances impressively the fruity aroma of Agiorgitiko by giving an intense sense of freshness. 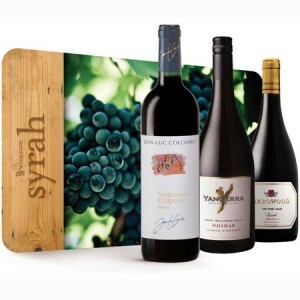 It has a deep ruby color with a velvety texture, cherry, gooseberry, mocha, coffee, vanilla and nutty oak flavors, it has a round balanced character, good ripe tannins with a long finish. 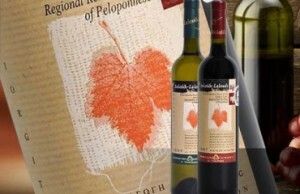 Agiorgitikon (100%) The grapes are locally cultivated. Their basic characteristics are the high alcohol content, the deep ruby color, the good ruby tannins and the fruity, smoke nose. The short storage in new oak barrels gives the wine a butter caramel taste and a discreet wood fragrance. Its color is medium deep ruby and it tastes like red fruits, butter caramel, Smokey oak flavors it has soft tannins with an excellent balance and a luxurious finish. Agiorgitiko (20%), Mavroudi (80%) The grapes are taken from local vineyards. It has a light ruby color an tastes of cherry, coffee with a nutty nose, soft tannins it has a medium body with an elegant finish.